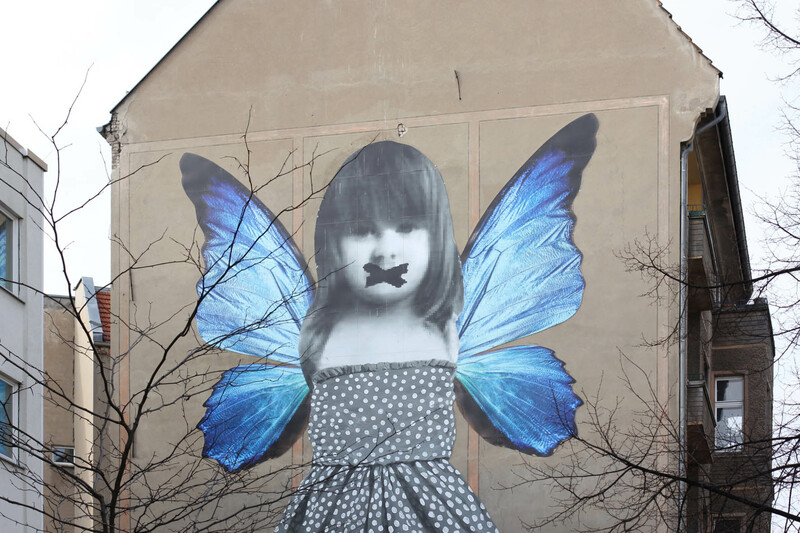 Michelle Tombolini’s Butterfly mural in Friedrichshain, part of the artist’s Indelible Marks project, is a beautiful piece of street art with a sad message – drawing attention as it does to the issue of the sexual exploitation of children. 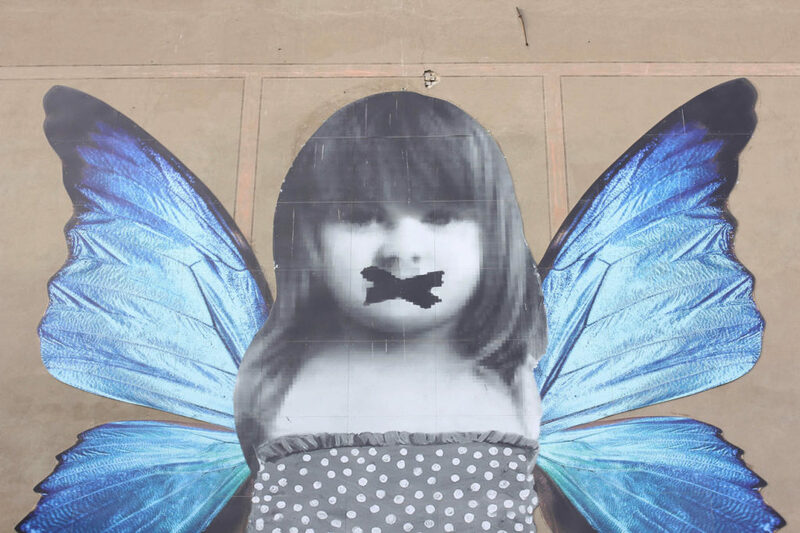 Walking along Boxhagener Strasse, the bright blue wings catch my eye first, contrasting with the black and white image of the young girl with a polka dot dress, then I notice the cross covering her mouth. “Butterfly” cannot speak and she restrains her emotions, putting at stake her freedom. 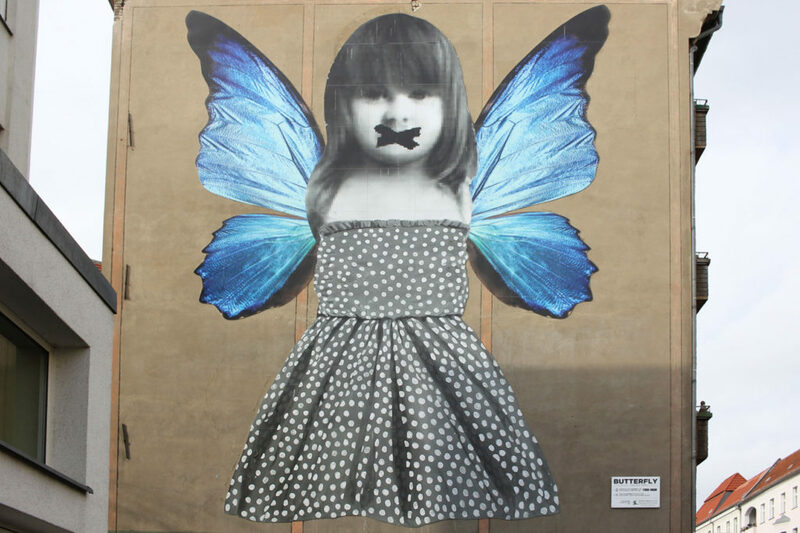 However, despite censorship and fear, her soul will not lose the vital force and her wings will return to flutter. And they concretely will do that through augmented reality. The Butterfly mural is made all the more poignant by its placement, next to the Zille-Grundschule, a local primary school. 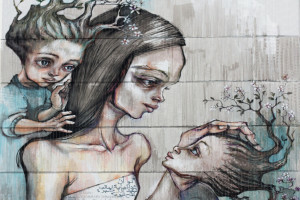 Tombolini created the mural in September 2015 in co-operation with ECPAT, an international Non-Government Organisation network dedicated to the fight against the sexual exploitation of children. The 13m x 6m paste-up is only the physical representation of a larger artwork. 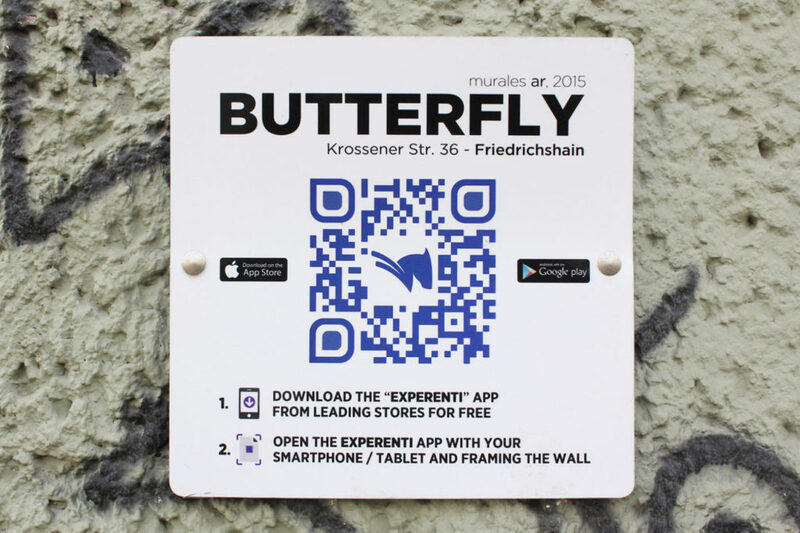 A plaque on the wall of the building invites users to download an Augmented Reality app, Experenti. Through the app, the little girl is given a voice. 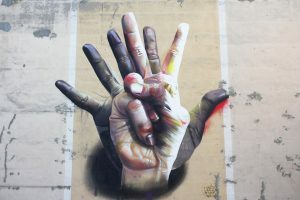 A smaller version of the mural also adorns a wall in the Facciola wine bar in Kreuzberg. 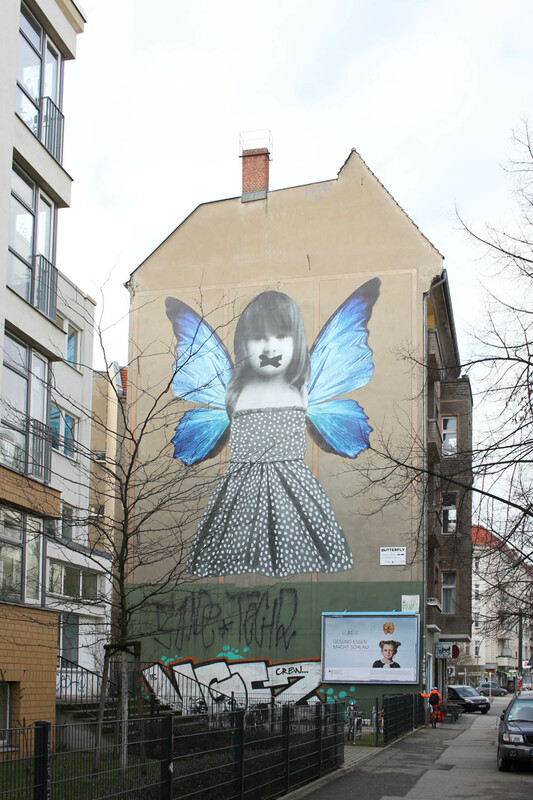 Michelle Tombolini’s Butterfly mural is on the gable end wall of Krossener Strasse 36 (visible from Boxhagener Strasse) in Berlin Friedrichshain.